PAM: Hi everyone I’m Pam Laricchia from livingjoyfully.ca and today I’m here with Kelly Nicole. Hi Kelly! KELLY: Hi Pam, thanks so much for having me. PAM: Thank you so much for joining me! Just to let everyone know I came across Kelly online and had a lot of fun watching some of her YouTube videos. 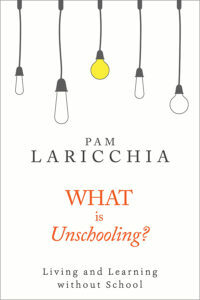 PAM: She will also be speaking at the Free to Be Unschooling Conference, in Phoenix, Arizona in September. I’m really looking forward to chatting with her about her unschooling experience. To get us started Kelly, can you share with us a bit about you and your family? KELLY: Yes, well, I am a professional actress now, for over nine years. Oh, my goodness, I can’t believe it sometimes, and I love it and the only real reason I was able to really succeed and go so far is because of my mom unschooling and because of her continuous support. When I’m not acting I’m doing kids birthday parties as characters, teaching acting to kids, teaching improvisation to kids, and directing children’s theater. I am very grateful because everything I do relates to what I love doing, so it is just a blessing. My family right now is my mom, who unschooled us and she is a superhero. She is amazing; she is the most incredible woman you’ll ever meet in your life. Can I talk about her for a second? KELLY: I adore that woman, oh my gosh. So, she was born and raised in California—or Ohio to California—and, before she had kids, she was the manager of The Burbank Airport, the LAX Airport; one of the first female managers. She was amazing and fantastic and then she had kids and she didn’t have me until she was about 40 and so I think I am very grateful. I get scared sometimes, people are like, “Oh yeah, my grandmother is that age,” and my mom is that age right now, because she had me a little later in life and it worries me. I have a lot of friends right now whose parents want to kick them out right away because they had them really young, but my mom goes, “I did everything I wanted to do; I traveled, I experienced life, and now I’m just about my kids. I want you guys to have a great life and that’s what I am about.” So, she quit her job and became a stay-at-home mom to my older sister and I, and has not looked back, and oh my gosh, there is more I will go into in a bit. Then there is my sister, who is older than me and she is also a superhero; I adore her and she’s my best friend. I love the movie Frozen and I always say we are like Anna and Elsa, because she is like Elsa—she likes to stay in and do her own thing and stuff. I am like Anna, because I run out and say hi to everybody, and I love that movie so much. She is autistic, and pretty high-functioning, but one of the reasons we were unschooled in the beginning is because of her autism. It is just so hard in the public school system for them to accommodate that. They have like 50 kids in a classroom and it is so difficult. She just got approved for disability; we have been fighting for three years, because she is not able to drive or work, or anything, so it has been a huge blessing. She is actually engaged to Talon, who is pretty much my brother. We met him in the unschooling group and they knew each other for like eight years before they got together, and the big thing with them, was, she was like, “You know I’m autistic, right?” and he is like, “I know that, and I love you and I’ve known you for eight years, so it is not like I am expecting anything different.” They are just the cutest. So, the four of us all live together and support each other in every way possible. PAM: Wow, that sounds awesome. KELLY: I love my family; I am so grateful. PAM: Frozen was a pretty popular movie here too, even though my kids are older. KELLY: Oh, confession time, I am sure you have see my YouTube videos; I have a Frozen-themed bedroom. KELLY: All my friends are like, “What is wrong with you? How old are you?” But that movie. I think it hit really close to home with me because, I did not talk about him yet, but, my biological father, who was around until I was 19, was very abusive verbally, financially, emotionally, and a little physically. So, because of that there was a lot of fighting with my mom, my sister would take me to the other room and we would play games together, and it was kind of like the Do you want to build a snowman? thing. We became close because of that and then, when she started to kind of shut down because of everything going on, I would knock on her door, and be like, “Let’s play and game, let’s do this,” and there is just so much about that movie that was like, “That’s my life,” but just, you know, without the ice powers. PAM: I showed one of the videos to my daughter, who was visiting last week. The kids were all hanging out here and I showed them, and they said, “Is that a Frozen pillow! ?” because my son’s, I think it was, 17th birthday, was a Frozen theme. KELLY: Oh my gosh, yes! I feel like me and your son would be just BFFs. PAM: I really think so. I thought maybe you could tell us a little bit about what your family’s move to unschooling looked like. KELLY: Yes, so, growing up, we went to public school—I went to public school until sixth grade. Fifth grade was my last year, and sixth grade she took me home. 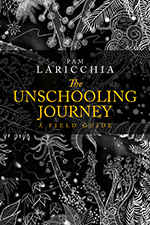 The reason unschooling was an option was because my mom had said, “I am never teaching; I don’t think I can do that,” and my sister who has autism started to completely shut down because there were no accommodations for her. She wasn’t learning, she was being bullied, she was having sensory overloads, and it got to the point where she went completely non-verbal and would only bark and growl and would hide under tables. The biggest block was my biological father who was like, “My kids are not going to be stupid homeschoolers, they are better…” you know, because he was just a jerk. My Mom finally put her foot down, and was like, “My daughter is suffering; my children are not doing good and this is affecting their health, and their lives, and listen, I don’t care what you do; you can leave for all I care, but I’m taking my children home and I’m homeschooling them.” And it was a really big fight and it was a very scary thing, and then Jackie, my sister, was homeschooled for a year before I was. I had a lot of trouble in school; I was bullied a lot, I was extremely shy and I was just awkward. I was an awkward kid and I did not learn very well; I would go through the motions, and I would write down the answers and then a week later you could ask me what I learned, and I had just thrown it away. Because you know, you are there for the test, and that’s it, and the test it over and now it is done. So, I told my mom, “Mom, I think I am having trouble in school” and we went through that and she brought me home and it was magic. PAM: So, you went to the end of the fifth grade, and your sister was home for the year before that? KELLY: She was, I think, in her second year of junior high, and then she was taken home. But when we came home, we had to start from the beginning, from addition. I knew basic addition, but for her, she had just shut down and she had to relearn everything, and for me I would get to multiplication, which is where I was really stuck and I would just go hysterical; I would just start crying. I was like “I’m stupid; I can’t do it,” because, in schools, if you don’t get a good grade, you can’t do it, then they reprimand you and tell you that you are not good enough. I took that to heart, and was like, “Oh my gosh.” It was a whole experience. God Bless my mom. She had one child who was autistic and hiding under the covers during school, another who you would mention math and reading, or signs or anything and I would just start crying; I mean, oh my gosh, I don’t know how she did it. 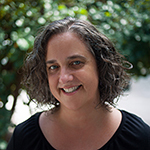 PAM: Yeah, I know because my kids, when they left school, they were nine, seven, and four, so my eldest was in grade four, and the youngest was just in junior kindergarten, but that first year as we moved into unschooling, to mention anything that seemed like a school subject—even if that was not what it was meant to be—if it looked like school, if it looked like a worksheet, if it looked like anything similar, it was such a physical reaction. KELLY: It is so sad to me, because learning really should be fun, and that’s my number one thing even when I teach acting classes, you know the kids should be having fun. They should do this because they love it, because they want to, and I feel like people hate so much of school because it is not fun, and the teachers don’t make it fun or enjoyable, and it is like, “Do this math sheet.” I have met different moms and I have done co-op classes with other kids my age through homeschooling, and they made it so much fun, and I went, “Oh, I like this.” You know what I mean? And then I realized wait a second, this is that thing I was afraid of. I mean she tried everything, and I feel so bad, because Jackie would respond to things differently than I would, and so sometimes it would be the same subject, but she would have to teach us both in different ways so we understood it, you know what I mean. It got to the point where with math, with multiplication, there was this story and instead of 22, it was “dirty shoe,” and it would go into the story about a dirty shoe and how the shoe got dirty, and then go past all these numbers. Then the numbers would have a story together, like 22, dirty shoe would have a number with a story with seven, which was Heaven, and the dirty shoes went to heaven. It was something like that, and it would then relate to the answer, and as odd as that was, it worked for us, you know what I mean? I had friends that thought it was the stupidest thing that we had these rhymes about shoes and Heaven, and the sea, and stuff, but for some reason that really worked for my sister and I, like yes, that is how it goes and now we can do math. 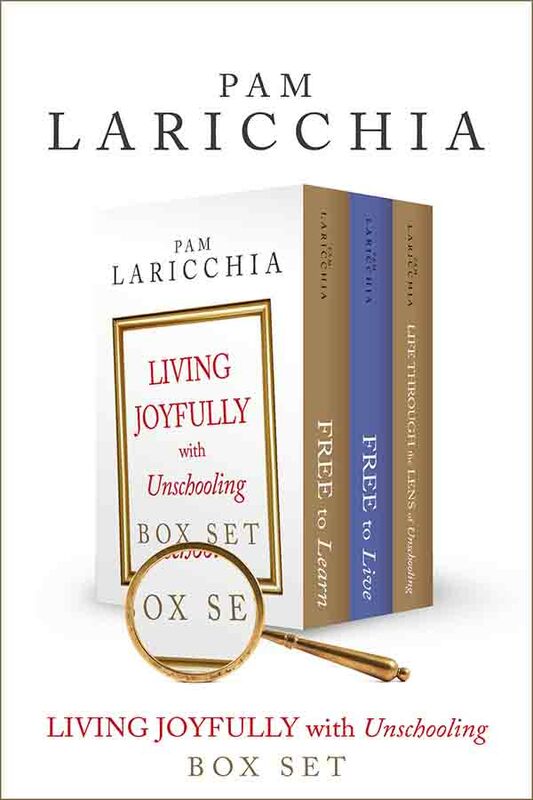 What I love about unschooling so much is that it is really to each their own; you teach the child how they learn, which I think is the most beautiful thing, because so many people are put into boxes, and when you get creative, and when you are really attentive to the child’s needs, it just shows, you know I mean. It shows in how confident they are, and how much they excel, and how much they love what they are doing, you know. PAM: I think the biggest things for me watching my kids was because we were doing things that they were interested in and we were helping them figure out ways to figure out what it was that they wanted to learn, as they were pursuing whatever it was they were doing. I did not realize how beautiful and fun and easy learning could be, you know what I mean? KELLY: We would still have read-aloud, and if my mom thought we were not paying attention, she would be reading the story of Cinderella, and she would be like, “And then Cinderella went down, but she broke her ankle on the way down the stairs, so she prayed to the three blind mice and the Three Blind Mice…” And like start making these things up, and we would go, “Wait a second, what?” Just to make sure we were paying attention. And I think it is great too because I am a huge advocate for homeschooling, unschooling, because you get to be with your children and with your family. When you are in the school system you do not see your family ever, really, except for a few hours at night and that is doing homework and going to bed, and like you do not really get to be with them. When you are unschooling, you are getting to know your child for who they are and you are creating memories and moments. Kids grow up really fast; next thing you know, you will blink and they will be 27 and married, and they are not living with you anymore, and it is nice to have that time. I know for me it nice to have that time with my mom and my sister, because we are just so close because of it and I am so grateful for that. 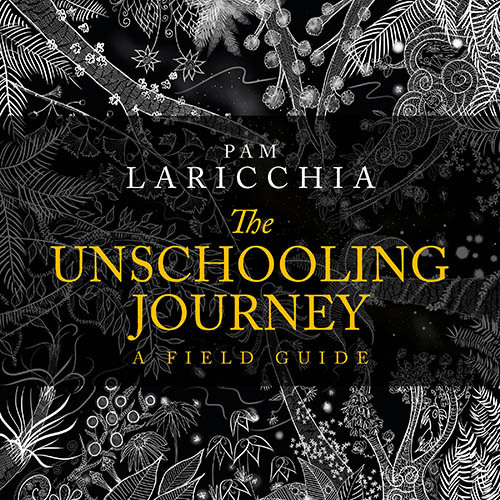 PAM: I know so often when I do ten question episodes with experienced unschoolers—most of them, their kids are older—but you know that was one of the huge surprises when we began unschooling? When I pulled my kids out of school, at first, I thought I was replacing school, you know, we are going to do this homeschooling/unschooling thing instead of school, but soon enough it grew so far beyond the focus on learning. You realize you do not even have to focus on learning, or worry about learning. You are just having fun everyday and you realize that learning happens just by living and the relationships become this thing that you did not expect you would get out of it. The relationships are so connected, and powerful, and beautiful. That was just one of the nicest surprises for me. My friends say they do not know how to cook meals, and they do not know how to do these things for themselves, and so it is funny because I will be at their house and I will be like, “You should vacuum,” and they are like, “I don’t know how to use the vacuum,” and I am like “You do not know how to vacuum your house? ?” So, I think it is another great thing, besides just the basics of school, reading, and writing, and arithmetic, you learn everyday things like how to start a dishwasher; things that seem silly, but really you use a lot more often than division. PAM: Yeah, because you are living, right? These things come up. PAM: And you know what, they are not that hard to learn and figure out. You know, it just happens one day. “Oh, can you load the dishwasher?” Or somebody unloads it, you just pick that up when you have the time to live together, and to be at home together. Like you were saying before—so much of the time is spent in school and homework, and then sleep, you do not have the time for those things to come up in your life. KELLY: Exactly, and I was thinking to myself today; I was at Walmart and I was getting some food or something for the house, and I used my credit card. I remember the first time I had a credit card and I didn’t know how to use it. My mom had to teach me and it was hard the first couple of times, and now it is just like an everyday thing. It shows how far you have come, you know what I mean? 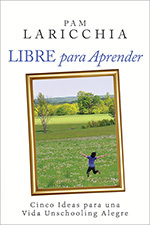 The first time you do anything you are always going to be nervous about it, but I think the great thing about unschooling is that I know if I ever have a question, I have my mom, I can send her a text or give her a call and she is there. PAM: Because it goes back to the relationship, right? That connected relationship where you are comfortable, and happy to ask questions, and you know you are not going to be made fun of or feel stupid for asking questions. And then she would be like, “Okay, just so you know, your son or daughter is here, and this is what happened and, you know…” She always created a safe environment, not just for me, but for everybody, because it was like a “no judgement” zone. It was, let’s just talk about it, let’s take it a step at a time, and we will figure it out, and then go from there. PAM: That sounds awesome, and, like you said, people are attracted to that, when somebody will treat you like a human being, and talk to you like a human being, without that judgment piece and just help figure things out. It is not like “I have got the answer,” it is not a confrontation, it is a conversation instead. KELLY: And it is not about who is right or who is wrong, it is just figuring it out. KELLY: It is funny. I was on TV last year; I played a murderer. So scary, but it was a lot of fun and one of my students said, “I want to watch it.” There is fake blood, I am playing a murderer, and I don’t know, he was like 12 years old, so I said, “Ok, Mom, here is the link to it; you watch it first, and then see,” because, you know, every kid is different. I know I have some families who would not let their kids watch PG-13 movies until they were 16. That was always a big thing, as people tell me that I am really good with kids, and hopefully I am; I work with kids every day. The biggest thing I tell people is to not treat them like kids; treat them like human beings. Respect their opinions, respect their wants, and their needs, and talk to them like they are humans. Like, I hated that when I was a kid, they would be like, “How are you, Kelly? Did you have a good day today?” and you are like, I can understand, why are you talking to me like that? And so, I just talk to kids, you know; I talk to them like I talk to you. I have one girl who I adore, and she tells me I am the big sister she never had, and I love her so much. I kind of feel like in a way I have picked that up from my mom, because it was never about judging people or what is right or what is wrong; it is about how are you feeling and what are the steps to take to make things okay? The biggest thing is talking to people like they are people, and talking to kids like they people, because I noticed a huge difference in kids responding, and how they work, and how they play. I know that is like my biggest thing I tell people, and they are like, “How do you do it?” and I am like, “They are just people; they are just tiny people, and they are discovering who they are and they are figuring things out, and they are young, and they are teenagers, and they are kids, but they are people.” It is just beautiful. That is why I love acting; it’s the beauty of creating a whole other person. It is the beauty of bringing someone to life. How they think, how they move, how they speak. Why they do the things they do… and that is a human person. But I like to dissect that for a living, and I think it is also because my biological father was like that, you know, they want their kids to be a certain way and they have certain expectations on their kids and if they don’t meet an expectation, or they are not a certain way, they get mad and they get angry, and they lash out and they are disappointed. People do not always go into having kids realizing that they are going to be their own separate consciousness, and their own separate human being. It is not always going to be what mom and dad want. They could be like, “I want a doctor for a child,” and the kid is like, “I am going to be a janitor; that is my dream,” you know, and you can think, “Why do you want to be a janitor?” but that is what your kid loves, and that is what they want to do, and so it is your job as a parent to support that. Does that make sense? PAM: Yeah, absolutely. I think that is a huge thing. When you first have a child, you have a picture, everybody is like, “Well I want to have the perfect child,” and that can be different from parent to parent, although a lot of society’s messages get flooded in there. So even if we, growing up, were not able to live up to that, it is like, I could not do that but I want to help my kid do it, right? Be the good student, be the wonderful child that can excel, etc. PAM: That’s it! They are not clones. I have a talk that’s called, Kid’s Aren’t Clones. PAM: Because, that is it, they are not our chance for a do-over on childhood, they are people. And I loved your story of the boy who came and said you sound the same. I am still marveling over that; that is so perfect. KELLY: Because you do not think about those things. I am just like, “Oh, they are just tiny people and they are learning their own lives,” you know what I mean? Obviously, there is a filter because they are kids. You are not going to be like, “Hey what’s up?” but you talk to them, and you do not treat them like they are idiots, because they are not—kids are so smart and I work with them every day. Kids are so smart and so intelligent, and they have fresh brains, you know what I mean? PAM: I could dive into this with you, too! Take a creative book idea and if you had three different people write that same story, it would come out so differently, just because they are bringing themselves to it; it is coming through them. KELLY: I love acting; I love what I do. The other day, I was talking with my mom and I just started jumping when I was talking, and she is like, “Why are you jumping?” I just get so excited about it! I love it! When you go out to an audition, in the professional world, oh my gosh, it is the worst. You go in and you are waiting in the waiting room with 50 other people who look exactly like you, and honestly, they all look prettier than you, and you are like, “They are probably all better than me and more talented.” You have to get that stuff out of your mind and go in and you do the audition, and the callback and whatever, and then you see what happens. I personally think that Picasso is weird; I do not care for Picasso, I’m like, “I don’t like it,” but there are people who pay millions of dollars to have a Picasso painting in their house. Then there is art that I think is really cute and cool, and then there are elitists who are like, “That is not REAL art,” and all that stuff. That is why I said, “Did you ever see a movie, and all of your friends love it, but you just do not like it? Because you have different tastes. Oh my gosh, I am going into another tangent, I am sorry. I love what I do so much! Art is relative. Like, if anyone is listening to this, never, ever let anyone tell you what you can or cannot be, and that is the biggest thing. That is something that I still struggle with and I am 22. You get down on yourself, and my mom is 61 and she still gets down on herself. Never let anyone else define you. That was a huge thing, because I had an abusive person in my life who was my father and that is supposed to be one of the people who supports you unconditionally, who is always there for you. Yet I had that person consistently judging, telling me that I am not good enough, telling me that I cannot do that, it is not a real job, you are a disappointment, and all of those things. Not even outside sources, but from a father, and I had to work through that, and even now there are days that I still hear his voice in my head and I have to fight through that, because you cannot let anyone limit you; you set your own limits. I always say, “Just go for it, even if you are going to fail, why not?” I love to sing and I feel like I am not the best singer in the world, and I had to work really hard to get to where I am, even now with singing. I have some singing covers on my YouTube channel that you can hear, and are pretty good; I am actually proud of myself now, but I know I am not the best in the world. Every time I wanted to give up, I would stop, and I would say, “Ok Kelly, humans live to like 100 years, approximately, so you are 70 years old and you look back on your life, and you did not continue to train yourself in singing, and now what? You just never sang again? You know, you love it, are you just going to stop and give up?” and then I am like, “No you are not going to stop and are going to do it,” and then you just keep going. So, ok, I am done now, I promise! I was curious how your passion for acting developed. When did you come across it, what sparked your interest way back when? KELLY: So, actually, I was always very shy and introverted, and the first year that I was homeschooled, my sister and I were literal hermits. If we had to leave the house, we would break down in tears, and the whole first year we could not handle it. We did not want to go anywhere; my mom signed us up for groups and with friends and we would just sit in the corner, and not want to talk to anybody. We were scared; we were terrified of people after what they did. So, we found this homeschool theatre and the first one they were doing was Aladdin, and I found out later that they wanted me to have the part of the princess and my mom was like, “No, this is her first show, she is not getting that big of a part,” because I could not handle it. Then I got the princess’s best friend, and the first time I was onstage, it was terrifying and then after that it just grew. The next role I got was the White Witch, in The Lion, the Witch, and the Wardrobe and then a lead in Shakespeare, and then Wendy in Peter Pan. The theatre I went to after the homeschool theatre, which I am now directing at, and running, and teaching at, is East Valley Children’s Theatre. In my first audition, I got a lead role in that too, and I found out that that theatre was the theatre that inspired me to act. That was the theatre that put on The Frog and the Princess and The Little Mermaid, and I got to act there for three shows. And then I went on and I did professional paid theatre, and I also did film, and commercials, and television, and movies, and I am just finishing a feature film, and it just kept going and going. Because of acting, it is a weird thing, but I have always been more comfortable in front of 500 people than in a group of three; because you are not yourself. You get to be someone else for a little bit, and it is a little less scary in a way. And even to this day, I still have anxiety hanging out with friends sometimes, but if I am in front of someone and they are like, “You are going to be on TV and millions will watch you,” I am like, “Oh great, perfect!” I am totally cool with that. Improvisation was a big thing, which is I think why I love to do it and teach it, because I realized that life was just an improvisation conversation. That what you learn in improvisation, of keeping a scene going and creating a character, etc., life is just improving your way through it. Acting changed my life completely. I like it, and I think because I kept going, and I kept learning and now look, I am in a wonderful situation. I would say I have never been more blessed, because we laugh with each other so much in this house, and we keep each other up, laughing. When we fight with each other, we talk it out and work it out. And we cry with each other, and we laugh with each other. When we are mad at each other, we work it out, and it is such a normal, healthy situation, which I feel like most people take for granted because it is just normal, they are used to it. And there are so many things that because this is almost a new thing, I am just so grateful for. I have had friends who are like, “I have become more appreciative of my parents; my parents were like whatever, until I started hanging out with you, and then I realized, ‘Wait a second, I guess dads are not always there,’ you know.” My friend says, “I have developed really close relationships now with my family, because of what you went through, and because of how you are with your mom and your sister and everyone. I realized that I wanted that.” They took this all for granted, and wanted to appreciate them more and stuff. So, I live a beautiful, wonderful life, and there are hard days, but nothing is as hard as what we went through earlier. I used to always be looking ahead, you know, like in an abusive situation, you always have to think about what the next day is going to bring, because you cannot think about where you are, because it is so depressing, and it is so sickening, that that is what you are living in. Everything that happens to me now, I just thank God for; I am so grateful. I make sure when I get up every morning to count the things I am grateful for, the things I am appreciative for, the people I have in my life; to remember that, because it is just a wonderful life, it is like magic. PAM: That is beautiful. And I love that the people around you notice your appreciation. That comes from now being able to relax in the moment, right? Instead of having to be so tense, walking around having to always worry about what is going on around you. Having to control yourself in relationship to the situation that you are in. 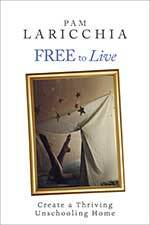 And then the freedom to be able to be yourself, and to sink into the moment without having to worry about the repercussions of how you might act or what you might say, etc. right, and then people see that, and realize there is a lot of great stuff in my life, and it is beautiful to appreciate it. I love that. Even now, I just think about my life and I am just grateful, I owe all of that, every moment that I am spending right now, to my mom, who just tirelessly fought for us in a house where she had to raise us basically as a single mother, but she had to fight against an abuser and protect us at the same time and wonder if she was doing the right thing. I cannot express to you how amazing she is; how phenomenal of a person she is, and it makes me so mad because she will be like, “I do not want to be on camera in interviews and stuff,” and I am like, “But people need to know who you are,” and she is like, “No one cares who I am,” and I am like, “I care.” I just owe every moment of my life and my happiness to her, and of course she drives me crazy. It is not like we have a magical relationship; we are mom and daughter still. PAM: It is real life. KELLY: Exactly, yeah. Disclaimer there, but she never said once, “Oh my daughter is autistic, (about my sister) and my life is over, and ruined.” She goes, “My daughter is autistic, great. I am going to go get some documentaries, and some books, and whatever I can find, and the internet, and research it. PAM: You know what, that just reminded me of something that I have always found fascinating. I mentioned to you earlier that my daughter is a photographer, right? So, when she was a teenager and she was really throwing herself into photography, really passionate and enjoying it, and I was supporting her, figuring things out, watching things with her, having conversations with her, listening to her…just having a great time with her. She would go out and somebody outside the family would ask what she was into, we would say, “She is really into photography,” and they would say, “Oh, she is going to be a photographer.” You know, it has to be THE thing, right? And to try to explain to them that I will happily put all of my energy and support and everything into her photography, and then if a month from now her interests change, that is totally ok. They would just not get that, because I am not supporting the photography, I am supporting my daughter. KELLY: Like those movie clichés where it is like, “It is not MY dream, parent, it is YOUR dream,” and dramatically run away. KELLY: My mom always taught me this since I was a kid, and it was that you find something you love to do, you find a way to make money doing it, and you never work a day in your life. So true. I think we have pretty much hit this question, but I will just ask in case you have anything else to add. About teaching acting to kids, and performing at parties and events, I was curious about how you found your unschooling lifestyle influencing the work you do with kids. I think we hit that pretty well, but is there any other things to add? KELLY: I mean, just reiterating the fact that kids are people; kids are tiny people, and I treat them like people. And you know, it is so hard for me when I see parents who want to steer their kids in one certain direction. Let them discover, let them be kids, you know, let them be humans, let them make human experiences, and discover what THEY like on their own. Because I did not expect her to be a certain way, I was just like, this is who she is, let’s get to know who she is. People meet me, and because I am so positive, they are like, “You were abused and you had all of this stuff going on, and you were homeschooled, and stuff?” and I am like, “Yeah,” but because of what I went through, it has made me a kinder and more generous person, and it has made me more about other people, you know. That makes sense, I guess, I don’t know! PAM: I think it does; your point that you never know what people have gone through, right? KELLY: Exactly, someone has a bad day and they are mad at you, and they honk at you on the freeway; you do not know what happened. They could have just signed divorce papers. They could be going to their mom’s funeral. They could just be a jerk and be honking at you, but give them the benefit of the doubt. If you see someone and they are struggling with something; depression, anxiety, anything like that, if you do not understand it, go to that person and say, “What can I do for you? I do not know what you are going through, but how can I help you, because I care about you.” Or if it is just a stranger and you want to help them out; with kids, with adults, with elderly people, embrace peoples’ differences no matter where you go. You know, you can decide if those differences are for you or not, and then you can spend more or less time with them accordingly, but people are going to be people. The thing I always say is that if someone is really neurotic, I am like, “Oh, I am going to use that for a character.” Because I have a character that I play, and I was like, “This is just like so and so,” and I channeled that person when I played it. I am going to film a video this week that is like a parody of this Kardashian character, because me and my mom have been watching that show, and I have met people who are just like that, and I am like, “How do you live?” but instead of trying to change them, I am like, “You know what, I am going to take what they just did and I am going to use it in a character that I do,” and you can always learn something from someone. PAM: Yeah, that is a great point. 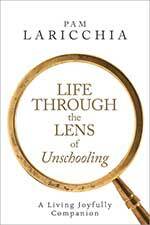 I am curious what stands out for you as you look back on your unschooling years now. 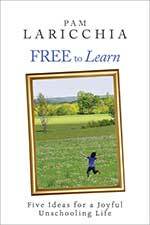 From your perspective today, what do you most appreciate about living unschooling growing up? 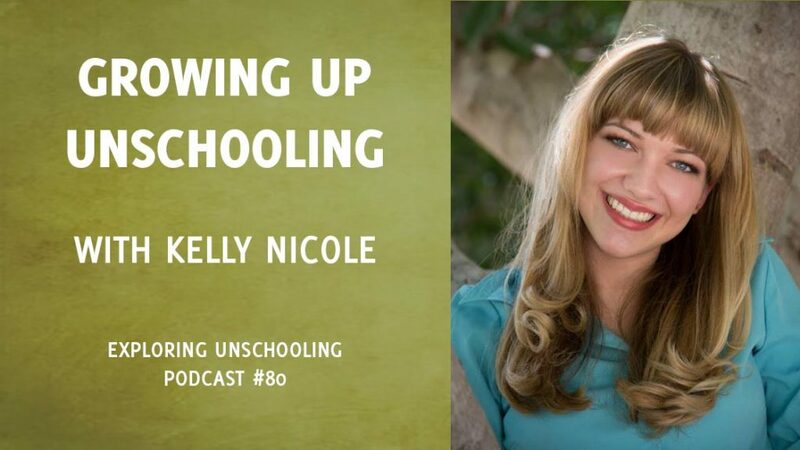 KELLY: One-hundred percent, the most wonderful thing about being unschooled that I will fight to the death about is that I was able to pursue what I loved because I loved it. Because of that, I was able to do so many shows and films, because I could just push school into the evening instead of the morning. It was honestly the thing I was most grateful for, because kids today go to school and then they also do rehearsal, and then they also have homework, and I am like, “How do they breathe?” I had the time to do what I loved, I had the time to learn what I loved, and to appreciate it, and to find it. I have friends who are switching majors because they are like, “Wait, I do not really like this,” but I got to learn if I did or did not like it. My sister loves to draw; so, mom was like, “Ok, we will do art classes and art lessons, and I will take you guys wherever you need to go to get that done.” We got to focus on what we love to do, and what is important to us, over what society says we should do. Of course, we still learned the basics of math, and reading, and science, and all of that stuff, but obviously we were like, “Mom, we do not care about advanced, extreme supercalifragilisticexpialidocious algebra.” I am probably never going to use that; I am going to get a calculator, or go to Google if I have to do that, you know. I will learn it now and I will forget it in a week, but because of that, she was like, “Ok, well I am going to teach it to you,” and then found out we just did not care about it, and we went more into acting and art. So, we learned the basics of what we needed to know, but were able to celebrate what we loved to do. PAM: Yeah exactly, because those things that you would remember are the things you actually need to use day in and day out. KELLY: I had to do multiplication the other day, and I would just pick up my phone and pull out a calculator. It fits right in your hand now. KELLY: Gosh, do not do it! No, I am kidding (laughter)…. turn back now!! No, just, what I have said the whole time, that kids are people. Embrace them for who they are; they are not going to love everything that you do, and you are not going to love everything that they do, and that is ok. They are going to be into things that you did not care about, and you are going to try to get them into things that you cared about, and if they do not like it, that is ok. Just love your kids for who they are, and that is the most important thing, I think for anyone unschooling or not. I see a lot of people who do not have that and do not do that, but kids are tiny people and your job as a parent is not to do things perfect, but it is to help them grow and learn; it is to support them, it is to lead them into a healthy life path. And that is all that you can do, because eventually, your kids are going to grow up and they are going to go out on their own, so if you are unschooling, at least you have that time with them to make that difference. PAM: I love how that message has come through in so many of the questions, in all of our conversations, because that is what it comes down to, right? We are people, in a relationship. KELLY: Yeah, and that is the huge difference for me in my life. PAM: Wow, cool. I want to thank you so much for taking the time to speak to me today, Kelly, I had so much fun! KELLY: Of course, thank YOU. I am completely honoured that you wanted to speak to me about unschooling and stuff, and I am like, “Oh wow, ok yeah sure.” My mom did all of the work for school, right, you know, I just learned from her, but could I give myself a quick plug really quick? PAM: Oh yes, before we go where is the best place to connect with you online? KELLY: In case you wanted to check out any of my work, or my YouTube channel, I have links to films I have done and projects, you can find me anywhere online at kellynicole515, on Instagram, Tumblr, Twitter, my YouTube Channel at kellynicole515 or misskellynicole and I post funny vlogs (I hope they are funny), and I will post links to work that I do. I would love for everyone to see that, and that would be great. I work really hard and I am proud of what I do. PAM: And I will definitely include links to all of that stuff in the show notes. KELLY: Thank you, Pam, you are wonderful and I wanted to say thank you so much for doing this podcast, because I know that if you were around when my mom started, she would have been religiously listening to you. PAM: Aww thanks very much, and thanks very much for sharing your experience. I know a lot of parents appreciate hearing from people who have grown up in that lifestyle. It helps them to hear what other kids think looking back, so that is awesome. Thanks so much for sharing your experience, Kelly! KELLY: I am glad I can help. PAM: Have a lovely evening.